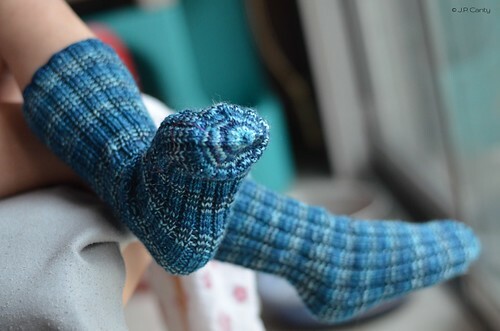 Mom has been knitting tube socks for Genevieve since she was just a SharkBean. 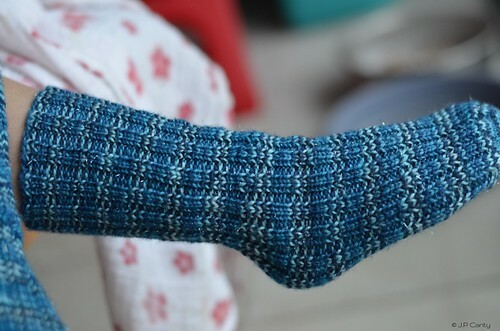 It's a very simple tube sock. You don’t actually have to buy the pattern, we give it away (verbally) in Episode 258, towards the beginning of the episode. We've gotten loads of requests to write it up, and write it up I have. Every cent we make on this pattern (priced at $1) will go directly into Genevieve’s adventure account. She would thank you for that, but she’s busy (still) freezing Arendelle at the moment.